The better part of day 4 was spent on a bus travelling from Siem Reap to Phnom Penh. When we arrived, we had a tour of the city at night which was quite pretty. However, as I am not yet a pro with my camera, I wasn't able to capture any great shots of the beautiful night lights. There were some locals doing some synchronised dancing on the roadside. There was a very big community feeling to it. The highlight of the day was my burger at a restaurant called 'Friends' which employs orphans and trains them to achieve greater. This was one of the best burgers I've ever had, I wasn't expecting it to be great seeing as Khmer food is the main focus in Phnom Penh. As much as I love Asian food, you can understand that an occasional break is needed! 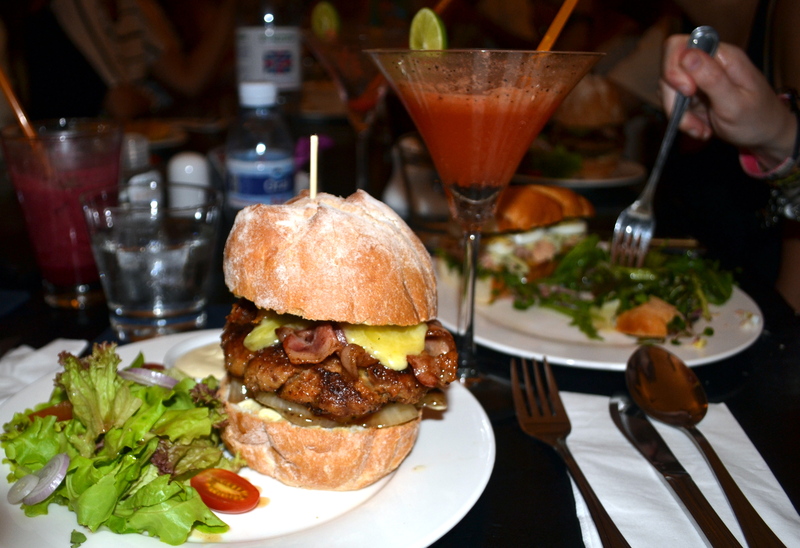 Travel Blog | Tagged: burger, cambodia, friends, phnom pehn, travel | 3 responses. Hi, I stumbled across your blog by chance and I’m very happy I did. It is a fun, unpretentious site and i was particularly interested in your trip across SE Asia. How did you find out about it (travelling for a month across SE Asia)? Thankyou so much! I have always wanted to visit SE Asia but I knew that I couldn’t do it without help from an experienced tour guide so I booked through G Adventures- the trip is called Indochina Discovery. If you google that, it’ll come up.